This traditional toque fits perfectly on the HeadSaver head protector and also keeps your head warm in winter! 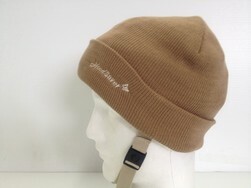 This classic winter hat is made to fit HeadSaver perfectly, and carries the HeadSaver logo on the front. It's a stylish and quality accessory to HeadSaver.